Youngevity is classified as Triple A (AAA+) opportunity based on key figures such as revenue, momentum, Alexa ratings, poll results, input from direct selling professionals, top earners and Head Office visits. Business For Home recommends Youngevity. There is high certainty that the net benefit is substantial for a (new) representative. Youngevity International, Inc. (OTCQX: YGYI) (www.YGYI.com) is a fast-growing, innovative, multi-dimensional company that offers a wide range of consumer products and services, primarily through person-to-person selling relationships that comprise a network of networks. The company also is a vertically-integrated producer of the finest coffees for the commercial, retail and direct sales channels. 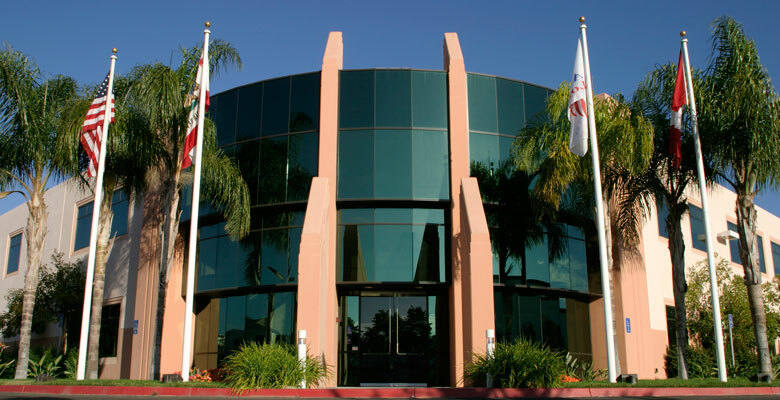 The company was formed after the merger of Youngevity Essential Life Sciences (www.youngevity.com) and Javalution Coffee Company in the summer of 2011. The company was formerly known as AL International, Inc. and changed its name to Youngevity International, Inc. in July 2013. Already familiar with the power of relationship marketing and direct sales, Dr. Joel Wallach – founder – decided that Youngevity would invite in a premiere network-marketing company to complete the picture. 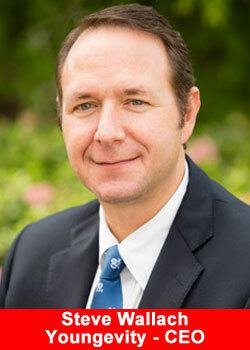 Dr. Wallach is renowned for his groundbreaking research on the health benefits of selenium and other minerals. The company has achieved in 2015 $156 Million and aims for $175 to $190 Million revenue for 2016. In our database we have around 1,000 direct selling companies from all over the world. We have classified 650 companies with an AAA+, AA+, A+ or B grade. In a couple of weeks the results will be visible together with more data in the (Free) Business For Home app, available both for Android as iOS. Therefore we recommend to download the app below. AAA+ Business For Home recommends the company. There is high certainty that the net benefit is substantial for a distributor. 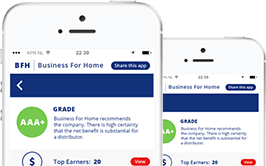 AA+ Business For Home recommends the opportunity. There is high certainty that the net benefit is moderate or there is moderate certainty that the net benefit is moderate to substantial for an distributor. A+ Business For Home recommends selectively offering based on professional judgment. There is at least moderate certainty that the net benefit is small for a distributor. 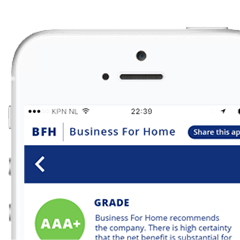 B Business For Home concludes that the current information about the company is insufficient to assess the balance of benefits. Information is lacking, of poor quality, or conflicting, and the balance of benefits cannot be determined. Get more information, fact and figures about Youngevity, click here for the Youngevity overview.